The new Chelsea FC stadium will be the 5th major new football stadium to be built in the capital since 2007 . Buildingtalk looks at these 5 iconic structures that establish London as the football capital of the world. 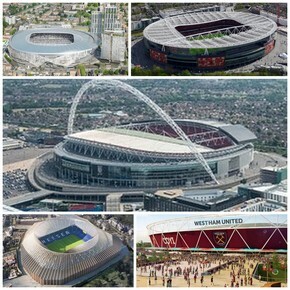 We ask you to tell us which you think is the best, both as a venue for football and as a champion of architecture in Britain – Wembley, Arsenal, Tottenham, West Ham or Chelsea. The new Wembley stadium opened stadium opened in 2007, replacing the original stadium first built in 1923. Wembley Stadium is owned by the governing body of English football, the Football Association. It hosts the England national football team, major UK football finals such as the FA and ‘League Cup’, plus FA League promotion battles and is a venue for major international games including the World and European matches. 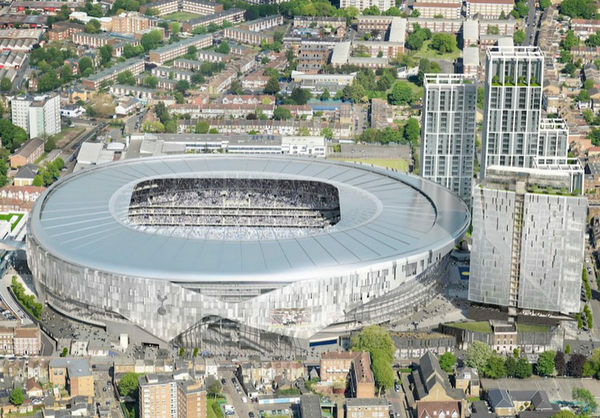 It is also be the temporary home of Premier League football club Tottenham Hotspur while its old stadium is demolished and their new north London stadium is being constructed. Designed by Populous and Foster and Partners and built by Australian firm Multiplex at a cost of £798 million. It has a partially retractable roof and a 134-metre-high Wembley Arch that has quickly become a landmark building in world football. 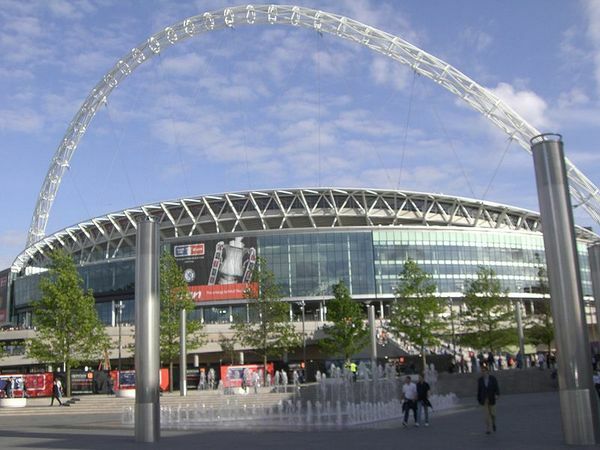 Wembley has 90,000 seats and is the largest football stadium in the UK, and second largest in Europe. The Olympic stadium was originally constructed as the centre piece of the highly successful the 2012 Summer Olympics and Paralympics and has been renovated as a multi-purpose stadium and as the new home for West Ham United Football Club and British Athletics. It will also host a wide range of sporting and other events. The original stadium cost £486 million and the renovations cost a further £274 million. The architect was Populous, structural engineers were Buro Happold and Sir Robert McAlpine were the main contractors. The renamed ‘London stadium’ has a 60,000 capacity for football events. 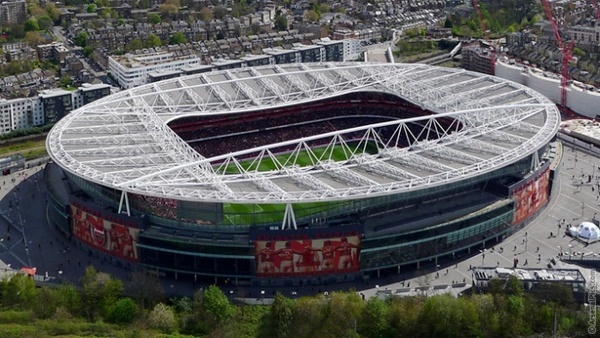 Emirates Stadium in North London, home for Arsenal FC, is the third-largest football stadium in England after Wembley and Old Trafford. Opened in 2016, it has a capacity of over 60,000 and cost £390 million. It is the third-largest football stadium in England after Wembley and Old Trafford. The Emirates Stadium design was a radical change for English football stadiums with a focus on the spectator experience both for football fans and ‘hospitality spectators, with Arsenal increasing match-day revenues by 111%. It had an mixed response from traditional fans but is acknowledged as the benchmark for a successful new generation stadium. The team that built the stadium were architects Populous, structural engineers Buro Happold and main contractors Sir Robert McAlpine. The new Tottenham FC stadium is being built on the exiting White Hart Lane site. It is very innovative design for football and other sports fans. No final cost estimates have been announced but could reach £750 million – almost double original estimates. The new multi use stadium will be home to 61,000 spectators, including single tier stand with 17,000 seats. It will also incorporate a fully retractable artificial turf pitch for NFL matches and an extreme Sports venue with the tallest indoor climbing wall in the world. The development will create a major new landmark for north London and include 579 new homes, 180 room hotel, local community health centre and shops. 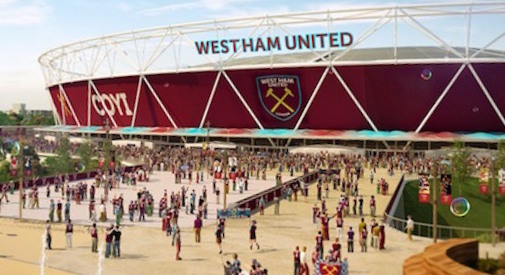 The team to build the stadium will be architects Populous, structural engineers Buro Happold and main contractors Mace. Back in 2012 Chelsea FC favoured building on the Battersea Power Station site but there was not enough space and plans were rejected. Now the existing ground will be demolished and the new stadium built in its place. 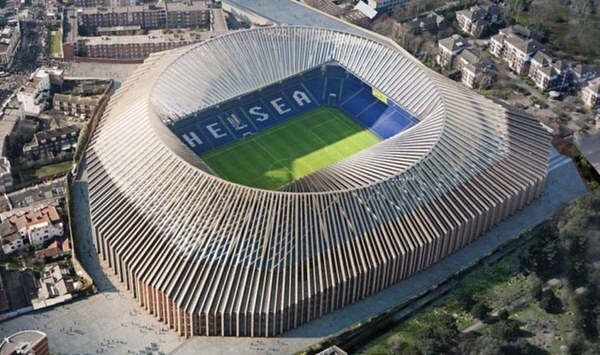 The final planning application for proposed new £500m stadium for Chelsea FC has been approved locally and is awaiting the final green light from London mayor Sadiq Khan and construction will begin this year. The new stadium Architects will be Herzog & de Meuron, designers of the iconic Bird’s Nest Stadium in Beijing. What do you think about the new stadiums? Share your opinion on which stadium in London you think is the best, both as a venue for football and as a champion for architecture in Britain.